It is officially summer. This year, I have been spending a lot of time outside and keeping my makeup a little more natural. Instead of contouring, I have just been using bronzer. 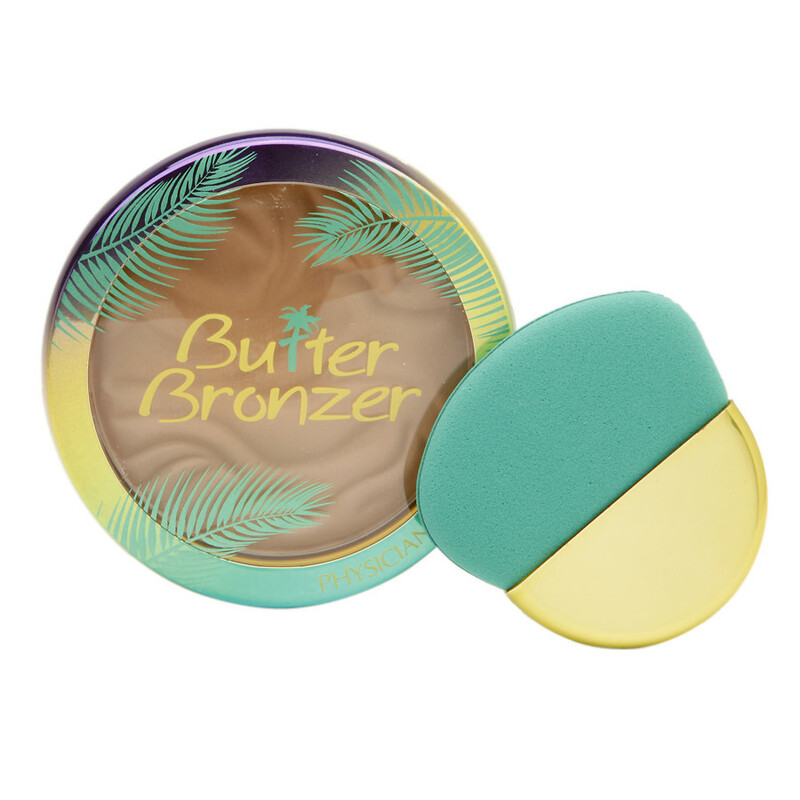 The Physician Formula Butter Bronzer smells like the beach and gives a natural bronze and glow. Instead of a traditional primer, I have been using a tinted sunscreen under my foundation. The EltaMD UV Physical Broad Spectrum SPF 41 Tinted Sunscreen does not leave a sticky layer but gives my foundation and concealer something to stick to. I love setting mists. One that I have been using pretty consistently as an additional primer, setting spray, and skin refresher is the MAC Prep + Prime Fix+. I haven’t tried the new scented versions yet but the Rose scent seems interesting. This helps all my powder products melt into my skin and does help a little with lasting power but to be honest, I am so oily, unless I blot and powder religiously, my makeup only last for 6 hours-tops, no matter the combination of products I use. Along with more natural makeup, I like hairspray but I hate the sticky feeling some hairsprays leave. 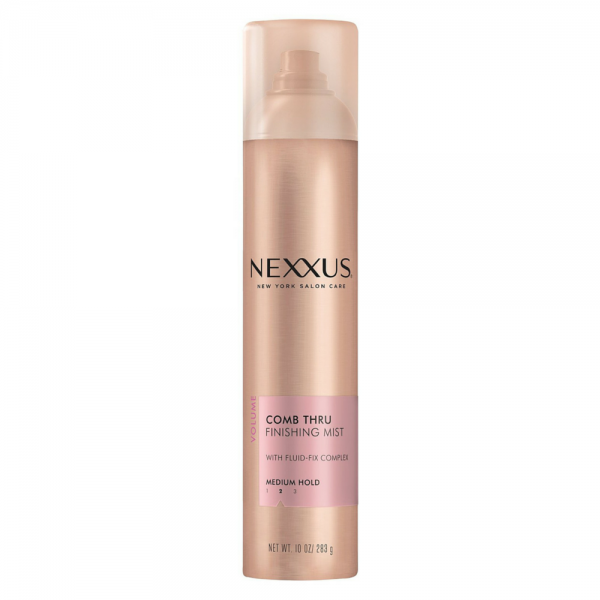 This Nexxus Comb Thru Natural Hold Finishing Mist provides decent hold for my new fringe and loose curls. 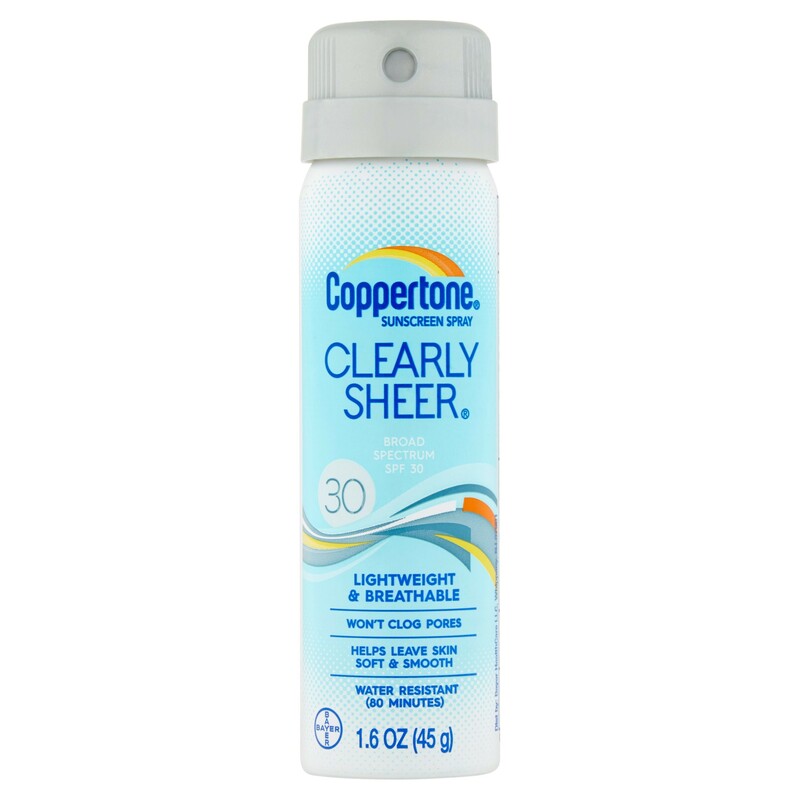 My mom had a small can of the Coppertone Clearly Sheer Sunscreen Spray. It is a very fine mist that does not have to be rubbed in after spraying. I use this every time I go outside. I burn really easily and this sunscreen has protected me from burns but I still can get a little color. 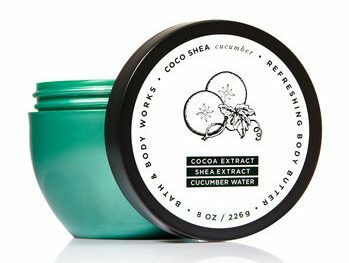 As oily as my face gets, the sun really dries out the rest of my skin and during a random trip to Bath and Body Works, I found this light weight Coco Shea Cucumber Body Butter than is creamier than aloe and sinks into the skin quickly. The light cucumber smell is fresh and I will definitely repurchase this lotion.